Prerequisite: skilled with sewing machine. Take your sewing skills to a whole new level! 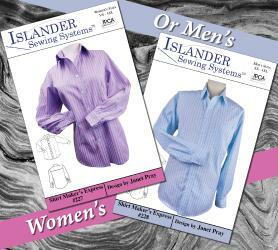 Islander Sewing Systems takes your projects from ho-hum to Wow! These techniques are taken straight from the garment industry and applied to the home sewist. No special machines needed.